Post the US Fed meet outcome, analysts say, it is the fundamentals of companies that will drive stock performance. Ceat Tyres, Intellect Design Arena, Wabco India, Unichem Laboratories, Tata Elxsi, and Abbott India are among the 91 stocks that have outperformed the markets after the announcement of their quarter ended June results. An analysis of 497 companies on BSE-500 that announced their June quarter earnings reveals 91 outpaced the benchmark indices after the results. 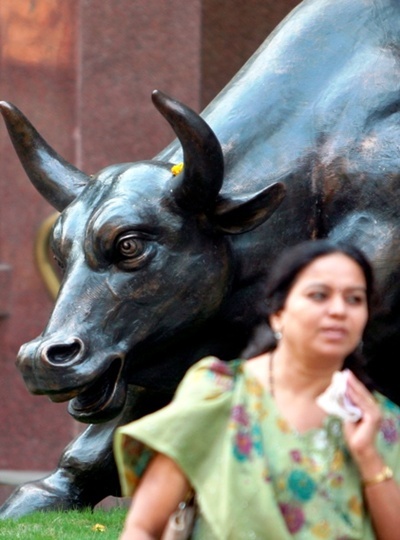 The S&P BSE Sensex posted seven per cent negative returns during the period. These 91 firms have reported 22 per cent year-on-year growth in their net profits. Their combined net profit increased from Rs 22,043 crore (Rs 220.43 billion) a year ago to Rs 27,217 crore (Rs 272.17 billion) in the June quarter. Ceat surged 55 per cent from Rs 779 to Rs 1,207 after the tyre maker posted a two-fold rise in consolidated net profit at Rs 121 crore (Rs 1.21billion) for the quarter, against Rs 52 crore (Rs 520 million) a year ago. Analysts say tyre companies look promising. They expect domestic tyre demand through FY15-17 to annually grow 13 to 15 per cent. “Rubber forms 70 per cent of the raw-material costs for a tyre company. The global outlook and soft offtake of China manufacturers on account of weak demand and the shift to greener tyres could result in lower demand for natural rubber, thereby holding prices low. Thus, we expect tyre companies to continue to reap the benefits of lower raw material costs," says a report from Anand Rathi Research. Information technology stocks Tata Elxsi, eClerx Servcies, Zensar Technologies, Mindtree, and Cyient; and pharmaceutical stocks Unichem Laboratories, Abbott India, FDC, and Granules India have risen more than 10 per cent each after June quarter results. “Exercise caution while investing in these counters and be selective. Among these stocks, Tata Elxsi and Mindtree have seen a good rally. It is better that one takes a fresh position in these counters on a correction. Cyient can be avoided for now,” said Kunj Bansal, executive director and investment chief, Centrum Wealth Management. Among the small-caps, GM Breweries, Himatsingka Seide, Jindal Poly Films, Avanti Feeds, and KPR Mill from the S&P BSE small-cap index have outperformed the market by gaining over 10 per cent after June quarter results. "Granules India and Unichem have reported an impressive performance in the recently concluded quarter and the markets have rewarded the good performance. On the other hand, the volatility and uncertainty have driven investors to safe categories like pharmaceutical and information technology," says G Chokkalingam, founder and managing director, Equinomics Research & Advisory. Morgan Stanley's Ridham Desai and Sheela Desai say, "Slowing global growth has increased risks to earnings. To that extent, we cut our forecasts. Our new estimate is for 17.3 per cent and 14 per cent compound annual growth rates in Sensex and broad market earnings to FY2017 (versus 20.8 per cent and 17.5 per cent earlier)." Jagannadham Thunuguntla, head of fundamental research at Karvy, says, "Over the next few days, the overall markets will react to the outcome of the US central bank meeting. Beyond that, the fundamentals of companies will drive stock performance."